"Space is like a great exhibition in a museum which is open all night and entrance is always free, but the museum is almost always empty and very few see the exhibition, even though everyone sleeps in the museum every night." 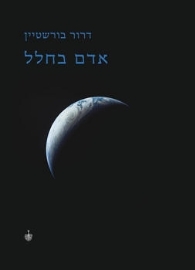 Dror Burstein takes the reader on a thought-journey through time and space, and offers us new, exciting observations and connections. As in his previous books, he brings together philosophy, art, literature and astronomy to contemplate questions about the universe, stars and space, and man’s relation to them. For example, in one chapter that begins with a photograph of Saturn, Burstein passes via Peter Greenaway’s film “The Draughtsman’s Contract,” and via the Book of Genesis, to Orpheus’s look back at Eurydice, and then returns to the photograph of Saturn. Thus, the book roams across the realms of thought and of space in a journey toward discoveries and surprising connections that link visual images, artistic methods, literary and cinematic criticism, astronomy, poetry, Jewish philosophy, Japanese haiku and other unexpected and intriguing combinations. Man in Space was written in nights. It's a book about the stars from a literary point of view. The man in this title can be anyone whom the stars are dear to, every man or woman who wish to think about their place in this vast universe. Burstein gazes at the stars like someone at prayer, and he reads the greatest authors and philosophers like someone painting on a page – with originality of thought, sensitivity and insight. This is a book about space and literature, about a human lifting his eyes unto the skies, and about the author bending his head over the page. "First of all, it must be said that Man in Space by Dror Burstein is a very impressive book, in the way it was produced and printed: full of magnificent pictures of space and intriguing works of art. It is superbly written and thought provoking. 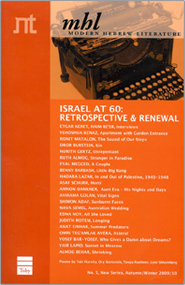 Burstein is manifestly the most refined, sophisticated and influential of the local writers who were born in the 1970s. He is a truly outstanding author. "